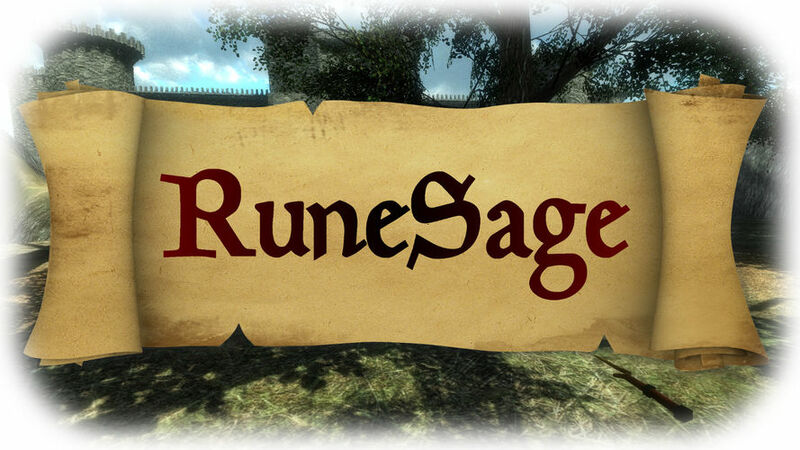 RuneSage is an immersive open world Virtual Reality RPG Adventure game for the HTC Vive or Oculus Rift & Touch. As a sage from humble beginnings, you'll search the land for nature's runes of power, then use them to cast spells to solve puzzles that aid you on your quest. Explore mazes in a forest teaming with wildlife, sail across lakes to reach distant shores, delve into dark and ancient caves, and search the ruined castle and its dungeons while menacing vultures circle overhead. Can you find the scrolls of knowledge, recover the lost crystals and protect the world from the gathering storm? -- Experience 10-15 hours of immersive adventuring in one of VR's longest games. -- Interact with NPCs in an engaging story with over 40 quests to complete. -- Cast over 35 unique spells to help solve a wide variety of puzzles. -- Explore 20 stunning biomes with over 80 items to find and collect. -- Become the wisest of the magic users and save the world. Please note that RuneSage is not (yet another) fast paced generic action VR wave shooter. There are no monsters to kill. You are never "in danger". RuneSage is deliberately a more gentle experience; a magical "scavenger hunt" designed for those wanting to explore an immersive open world, discovering its secrets at their own pace. Step 1 / 3 - Please enter your e-mail address to request one or more press copies of RuneSage and press the next button to continue.